This page features a list of some of the mestre poets I have had the honor of getting to know and others who I admire. Information about them is added as I have the time. With over 120 maracatus in the region during the time of my fieldwork, this is obviously a very partial representation of the totality of mestres working today. 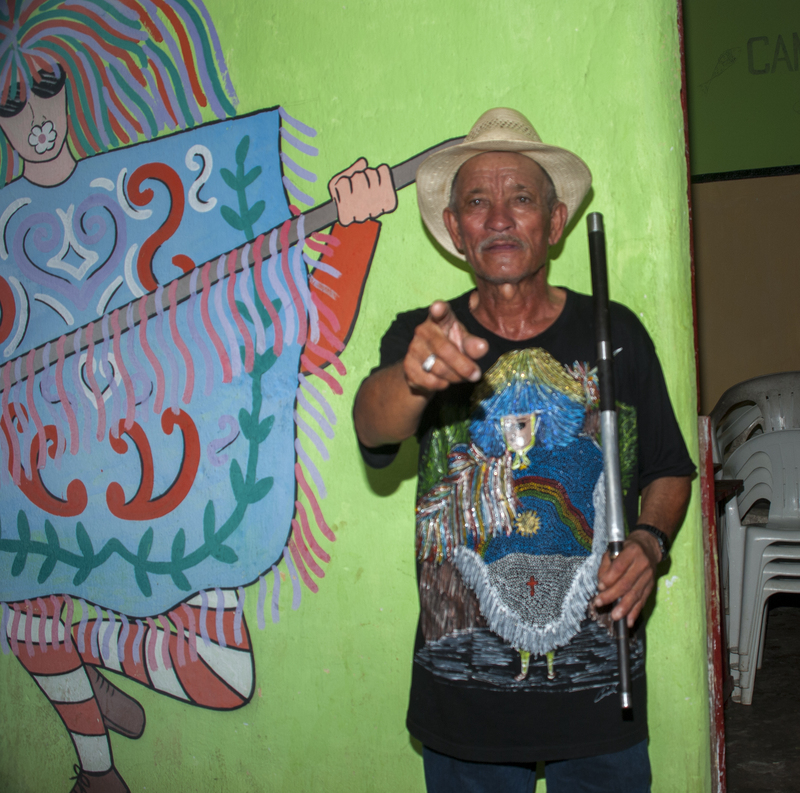 Mestre Dedinha, born 1947, has spent thirty-eight years with Maracatu Cambindinha Brasileira of the town of Araçoiaba. 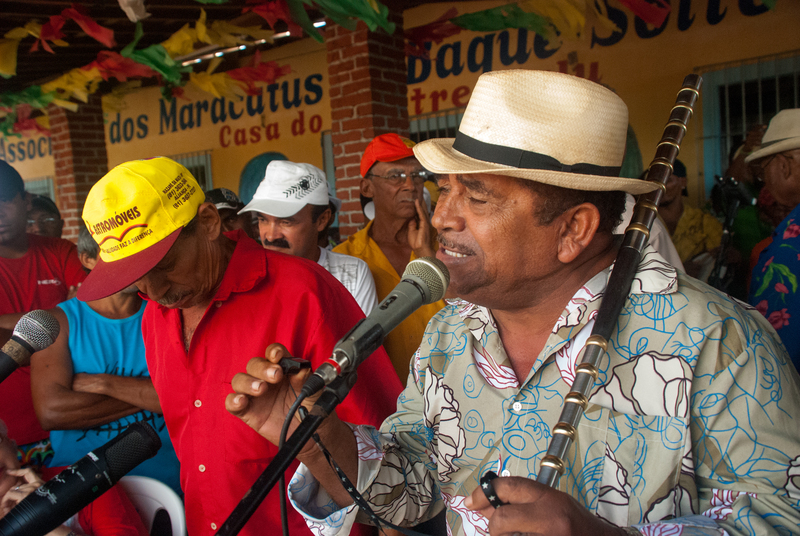 Born in the parish of Nazaré da Mata, he first began singing maracatu at sixteen years of age with Maracatu Leão de Estrela Unidas on Engenho Gutiubinha (between the towns of Goiana and Itaquitinga), and later passed through Maracatu Leão Formoso (Engenho Matarí), Leão do Norte, Leão das Flores (town of Itaquitinga), and another Leão Formoso (Engenho São Pedro) before arriving as mestre of Cambindinha where he remains today. Dedinha recorded and self-released his first CD in 2010. 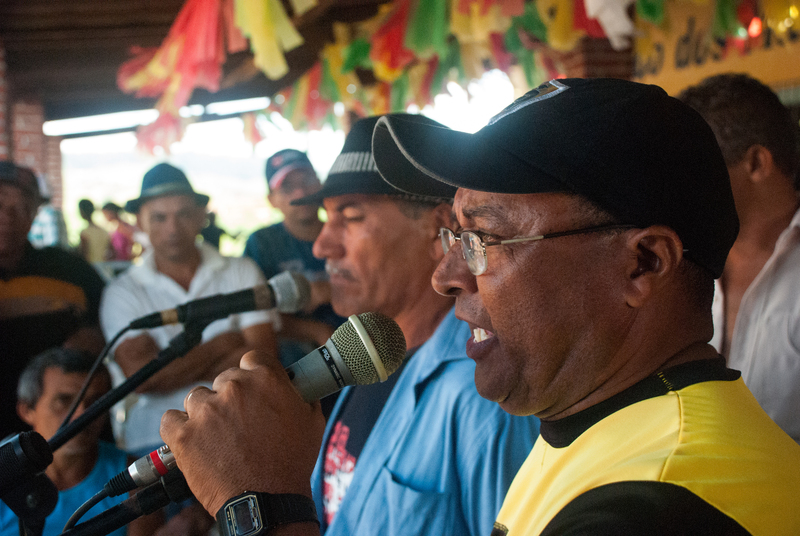 Mestre Barachinha has had a prolific career singing for Cambinda Brasileira, Estrela Brilhante, Leão Mimoso of Upatininga, and now Estrela Dourada of Buenos Aires. 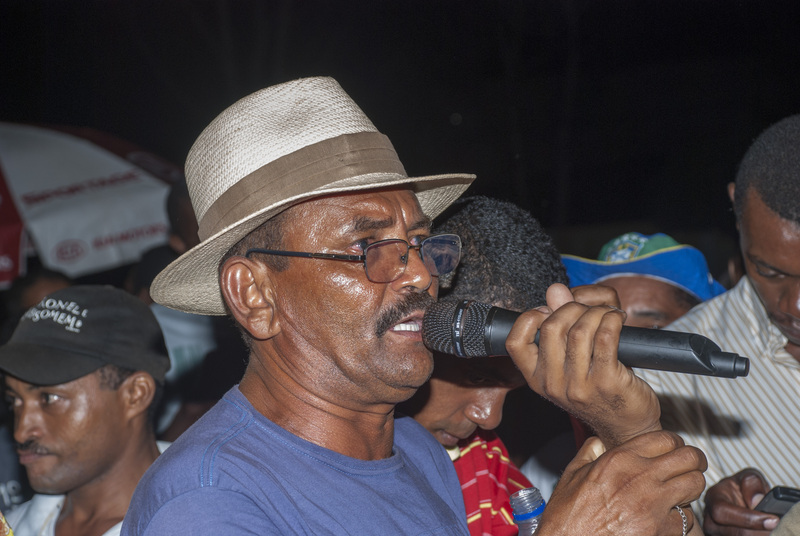 He is also a respected designer of costumes and meticulous artisan, one of many important roles he played in Estrela Brilhante from 2002 to 2011, where his father José Porfiro had been President and his brother Bio Porfiro has been mestre caboclo for many years. Barachinha has recorded prolifically. 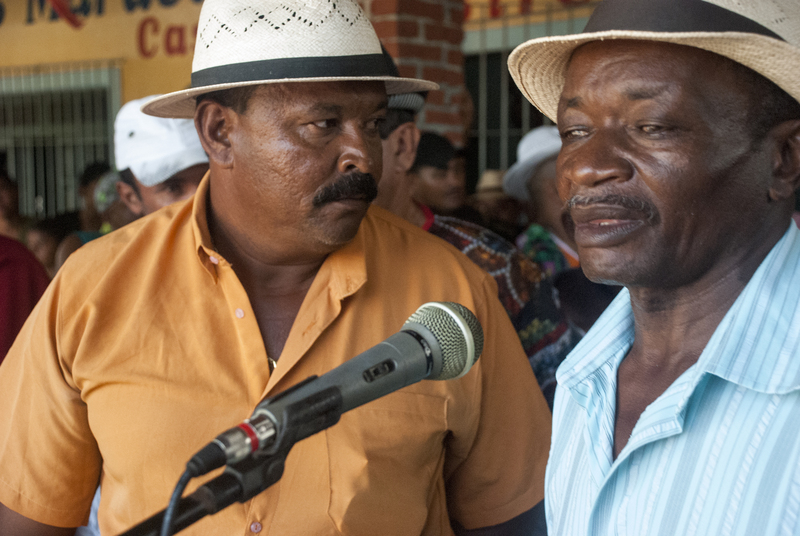 His preferred format is singing with another mestre, approximating in the studio the kind of interplay between two poets that happens in live performance settings. 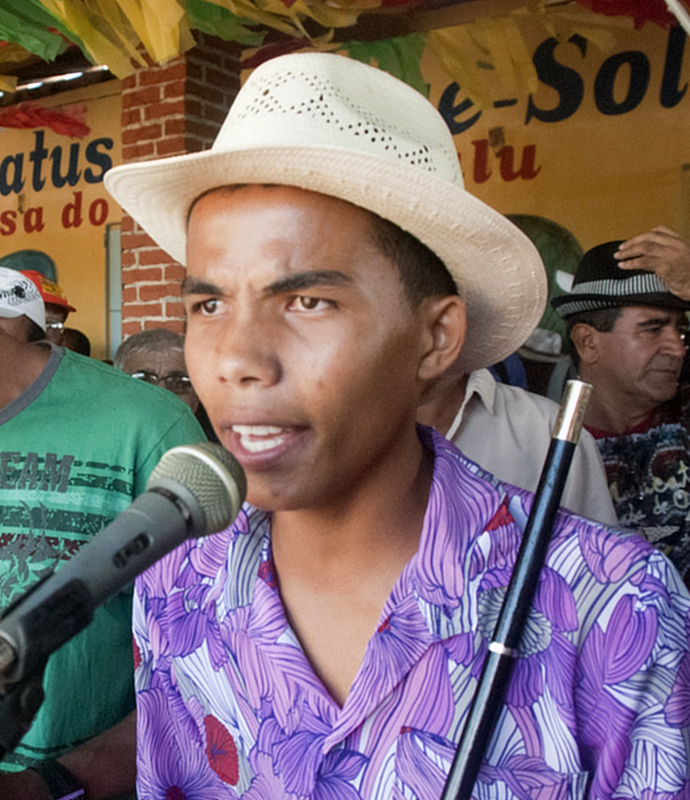 He has made CDs with the mestres João Paulo, Zé Galdino, Manoel Domingos, and Siba. Barachinha has appeared in the film Baixio das Bestas and just finished working on another entitled Azougue. 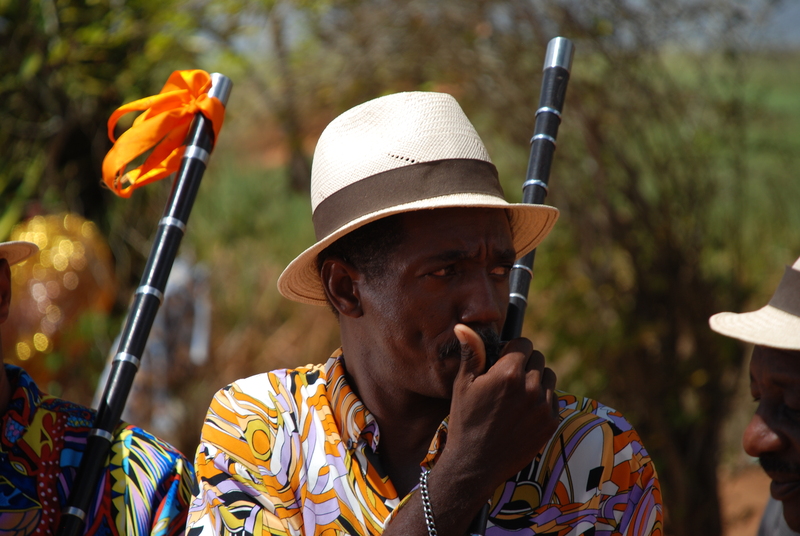 Mestre Carlos Antônio of Maracatu Leão Mimoso of Upatininga.